Trucks are designed for heavy-duty applications, such as hauling heavy objects. Dents, scratch, and bumps are a normal part of a truck’s life and simply cannot be avoided. 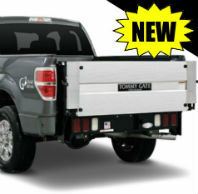 As the exterior components of the truck receive the most wear and tear, it is important that it is equipped with high-quality, durable and wear-resistant exterior accessories.